The Balboa Bay Resort has jumped into the world of the gastropub with the opening of A&O Kitchen + Bar. The restaurant, which is housed in a completely renovated space, where Duke's Place once resided, opened in June and features casual yet innovative contemporary fare, as overseen by the resort's executive chef, Vincent Lesage. Menu items range from pork belly sliders and a sausage flight to beer-marinated fried chicken and orchiette pasta. Lunch & Dinner daily. 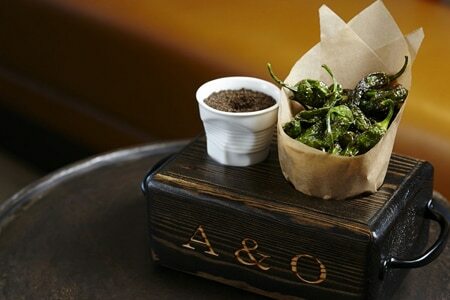 A&O Kitchen + Bar, Balboa Bay Resort, 1221 West Coast Hwy., Newport Beach, CA 92663, 949-630-4285. Costa Mesa’s Triangle Square shopping complex is the home of the Mexican culinary concept La Vida Cantina. 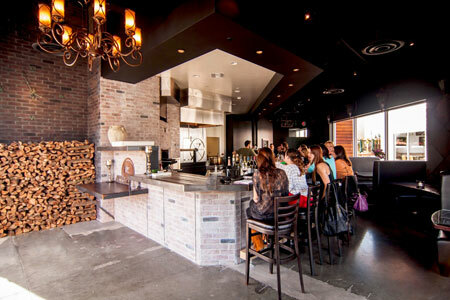 The restaurant is housed in the former location of El Corazon de Costa Mesa. Guests can sit on the venue’s massive outdoor patio and enjoy margaritas and other specialty cocktails, or indulge in modern Mexican dishes made with organic ingredients, such as lobster enchiladas served with a poblano cilantro tomatillo sauce. For more information, visit www.lavidacantina.com. La Vida Cantina, Traingle Square, 1870 Harbor Blvd., Costa Mesa, CA 92627, 949-612-2349. Break of Dawn, the popular breakfast and lunch venue located in Lake Forest, has reopened after a three-and-a-half-month closure. The restaurant has changed addresses, but has only moved into a different, expanded spot in the same shopping center that it previously called home. Executive chef/owner Dee Nguyen fills the larger venue with a host of Asian fusion-inspired dishes, like the pork belly and tempura fried egg, and Hawaiian sausage with green papaya and rice. For more information, visit www.breakofdawnrestaurant.com. Break of Dawn, Laguna Hills Mall, 24291 Avenida De La Carlota, Ste. P4, Laguna Hills, CA 92653, 949-587-9418. Island Hotel Newport Beach has opened its new culinary concept Oak Grill. Executive chef Marc Johnson brings his interpretation of contemporary cuisine to the sleek, completely redesigned dining space, creating dishes that highlight refined techniques and strong relationships with top purveyors. Also debuting is the adjacent Aqua Lounge, a bar concept featuring outdoor seating, craft cocktails, an extensive wine list and small bites. For more information, visit www.oakandaqua.com. Oak Grill, Island Hotel Newport Beach, 690 Newport Center Dr., Newport Beach, CA 92660, 949-759-0808. Celebrated Orange County chef and restaurateur Alessandro Pirozzi has opened Pirozzi Corona Del Mar. The Italian eatery, which is located in the heart of the iconoclastic subsection of Newport Beach, will be serving up hand-made pasta and pizzas baked in a 900-degree, wood-burning oven. The restaurant will also feature a prosciutto and mozzarella bar and homemade gelato. Lunch & Dinner daily. Pirozzi Corona Del Mar, 2929 East Coast Hwy., Corona Del Mar, CA 92625, 949-675-2932. Rumor has it that Providence co-owners Michael Cimarusti and Donato Poto will open a second location of their popular and successful West Hollywood seafood spot Connie and Ted's in Laguna Beach. Connie and Ted's, 8171 Santa Monica Blvd., West Hollywood, CA 90046, 323-848-2722. After decades of languishing in the shadows of Los Angeles, the Orange County food scene has as of late been able to craft a strong identity all its own. Find out GAYOT's picks for the 10 Must-Visit Restaurants in Orange County.